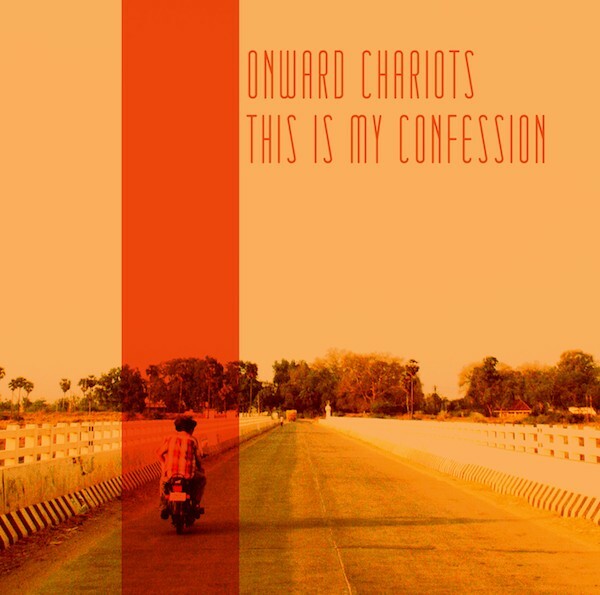 Onward Chariots is the brainchild of Ben Morss, a multi-instrumentalist and self professed music geek whose journey to This Is My Confession is peppered with eclecticism. A life long musician and band member, Morss has toured the world, played with the California acid-jazz group 11:11 at festivals such as NXNW and SXSW, conducted orchestras, played gospel in African-American churches, arranged and played on albums for artists like Cake, and immersed himself in the works of Peter Bjorn & John, Belle & Sebastian, Yo La Tengo and The Beatles. With such a history, and such diverse tastes, This Is My Confession was never going to be a one-dimensional record. The band posted their first songs online in the spring of 2009, and it didn’t take long for the music to spread around the world. Blogs from Italy to Brazil praised their intricate melodies, luminous vocal harmonies, and scintillating guitars, likening them to artists such The Beach Boys, Beulah, The Shins and Belle and Sebastian. The songs were played on radio stations from Greece to Indonesia and featured on compilations from the U.S. to Norway. They played Englandʼs Indietracks Festival, Athens PopFest, and Popfest New England, toured Europe twice and released a single on fabled Spanish Indie-pop label Elefant Records. For the occasion, the band is augmented by strings, oboe, clarinet, mandolin, trumpet, and all sorts of electronics. Completed by Ben Teters, Rus Wimbish, Dan Davine and Shawn Setaro, dressed up in this progressive exterior, Onward Chariots’ core is still very much indie-pop. This Is My Confession reveals its details over time, rewarding further listens.